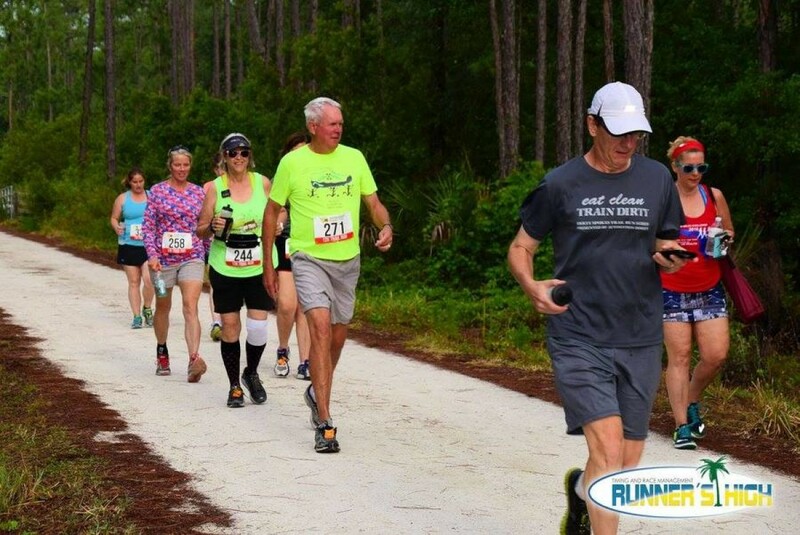 Palm Bluff Trail Race and Ultra "Margaritas & Manure"
This race takes place along the beautiful trails in the Palm Bluff Conservation Area near Osteen Florida. The trails are a mixture of single and double track trails through mostly old growth forest and pine areas. There is one short section along power lines and some small sections of soft sand. The course follows two loop trails through the park. Aid stations will be available every 2 - 4 miles, and the longer distance races will do the loops multiple times. This event will be timed but will be a fun and low key just to get out and enjoy the trails. This is a great event for new and first time ultra runners. If you are planning on doing the Keys 100 this could be a great training run for you.